Welcome to Fort Walton Beach Vacation Rentals, and the perfect white sandy beaches of the Emerald Coast. Fort Walton Beach is rich in history but also has embraced the new era of beach development. Finding a perfect beach condo or vacation rental home is easy, as Fort Walton Beach has many. Located just west of Destin Florida, in Okaloosa County, Fort Walton Beach has long been a preferred vacation destination. Sugar white beaches and the emerald colored waters of the Gulf Coast await you in Fort Walton Beach. Your family will certainly enjoy the many area attractions located here, including the Air Force Musuem. Get the kids out of the sun for a few hours and check out White Sands Bowling Center, Bounce Party Playzone, or the Emerald Coast Science Center. There is also plently of shopping and local restaurants in the area! 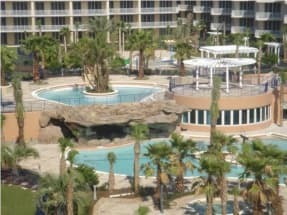 For your accommodations, let EmeraldCoastByOwner.com help you find the perfect family vacation rental property. Please view the listing below and contact the owner directly to avoid booking fees from other reservation sites. Feel free to contact us with any questions you may have about this vacation rental destination. 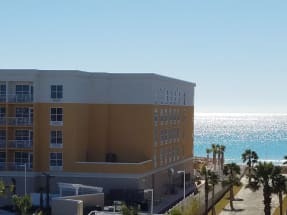 We hope you enjoy your stay at Fort Walton Beach, Florida!